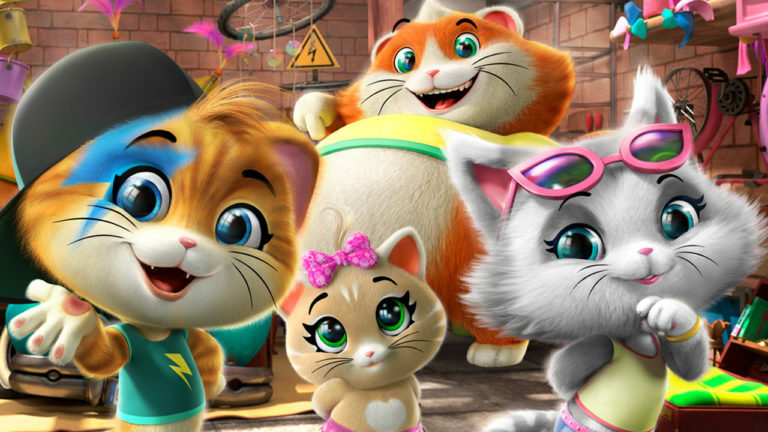 44 Cats is the brand new Rainbow production in collaboration with Antoniano Bologna, that follows the daily adventures of Lampo, Milady, Pilou, and Polpetta – four super cute cats who are part of a music band named the Buffycats. The four protagonists, who live and play in Granny Pina’s garage, their Clubhouse, find creative solutions to everyday hitches and help other cats in need. The series promotes positive attitudes and conveys educational messages dealing with themes like tolerance, diversity and solidarity in a funny way.